Asmall storefront, almost discrete, blends into the bustle of activity along Grand River Avenue near Lahser in Detroit’s Old Redford neighborhood. This is Maty’s African Cuisine, or Maty’s as it’s often shortened to by frequent diners. 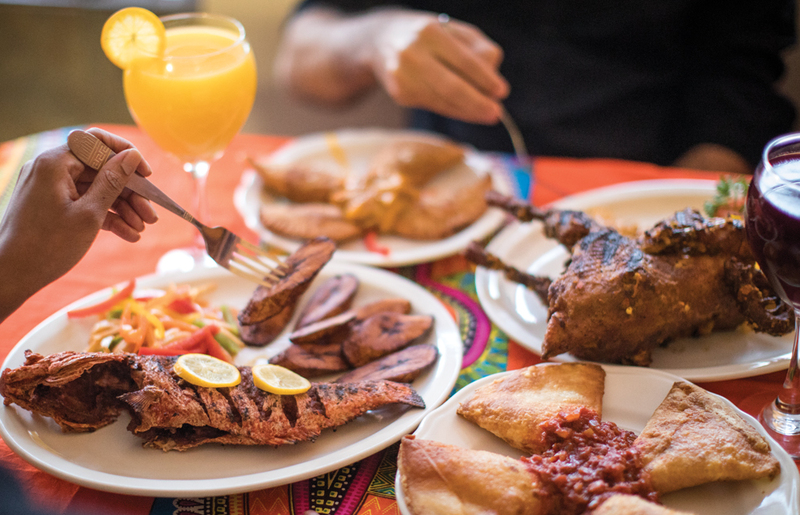 The decidedly Senegalese restaurant is the first of its kind in Detroit. 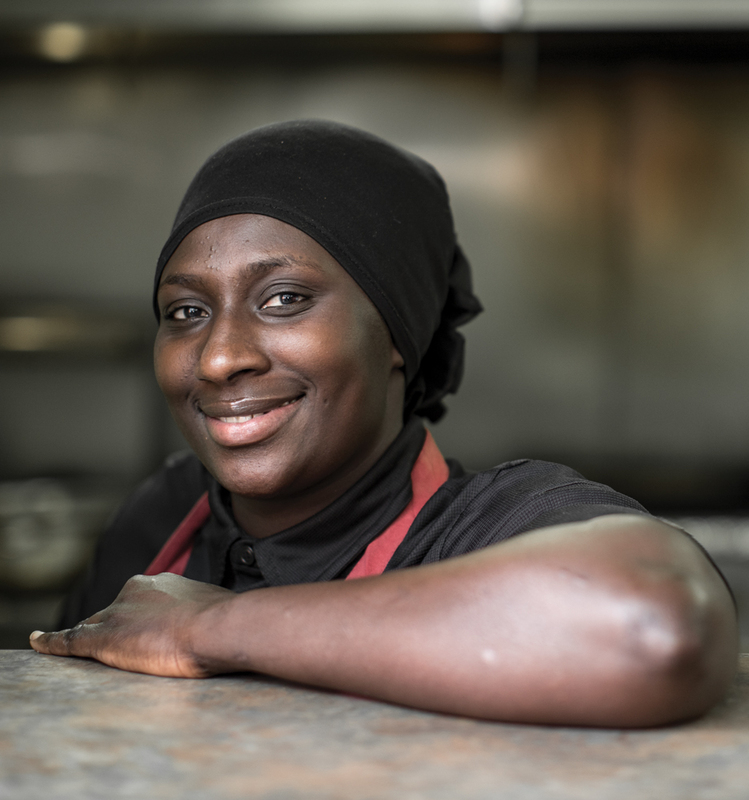 Maty’s opened in early 2017 after owner Amady Gueye realized that there weren’t any Senegalese restaurants in the area. 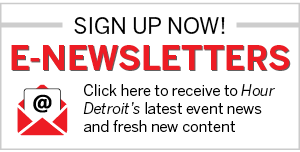 With the Northwest Detroit community serving as a home to a considerable population from countries such as the Ivory Coast and Senegal, he wanted to change that. 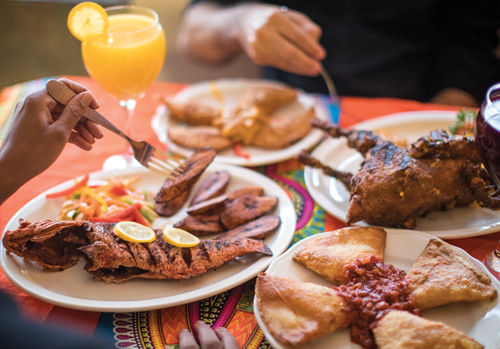 Beaming with bright colors, friendly service, and vibrant Senegalese flavors, Maty’s makes a bold statement. Traditional West African fabric serves as an obvious motif. Shades of cloth decorate one wall to emphasize the venue’s heritage. As a Bangladeshi-American, I’m used to deeply flavorful (and sometimes painfully spicy) South Asian food. Yet the rich flavors at Maty’s felt like an introduction. My taste buds recognized elements like the tang of mustard, but combined with caramelized onions, it became a pleasant twist on the familiar. The fataya, a deep-fried pastry packed with savory fillings, are reminiscent of an empanada — crispy and bursting with flavor. The options I sampled, one shredded chicken and the other fish with a tomato paste base, served as an enjoyable starter. But the star of the show, without a doubt, is the whole chicken yassa. It’s a product of skillful preparation: seasoning, broiling, deep-frying, seasoning (again), and grilling. It is, in fact, a whole chicken — neck and all — accompanied by yassa, a sauce of caramelized onions, mustard, and peppers. Other entrees include a grilled whole tilapia and grilled lamb shanks. They come with sides such as yellow rice, vermicelli, or couscous. There are also Maty’s take on the chicken or beef shawarma sandwiches that have become so familiar around town. Another dish, the grilled chicken skewer, is straightforward: red, green, and yellow peppers and cubed chicken breast. But it packs the same flavorful punch as the whole chicken yassa. To put it simply, this bird of choice is taken to new heights. Maty’s ginger and hibiscus refreshers are stand-alone acts. I sampled the latter, a delightful drink known as bissap. It’s made of a variety of dried hibiscus petals, from flowers native to West Africa. Sipping it slowly, you appreciate the pronounced floral notes and citrusy undertones. The deep maroon drink, like liquid rubies, is a hit. Maty’s is named after Gueye’s wife, who is one of the chefs. It’s a family affair, as Maty’s mother, Thioro, is also responsible for the spectacular flavors here. “When you come in, we make fresh food,” Gueye says proudly. Indeed, at Maty’s, you do get a taste of that bright freshness. 21611 Grand River Ave., Detroit; 313-472-5885. L &D daily.